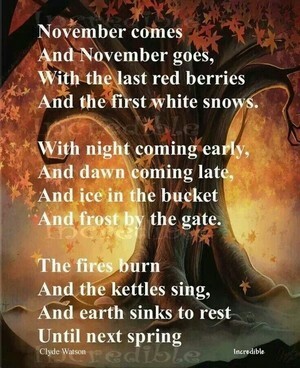 Here is a nice poem of November. 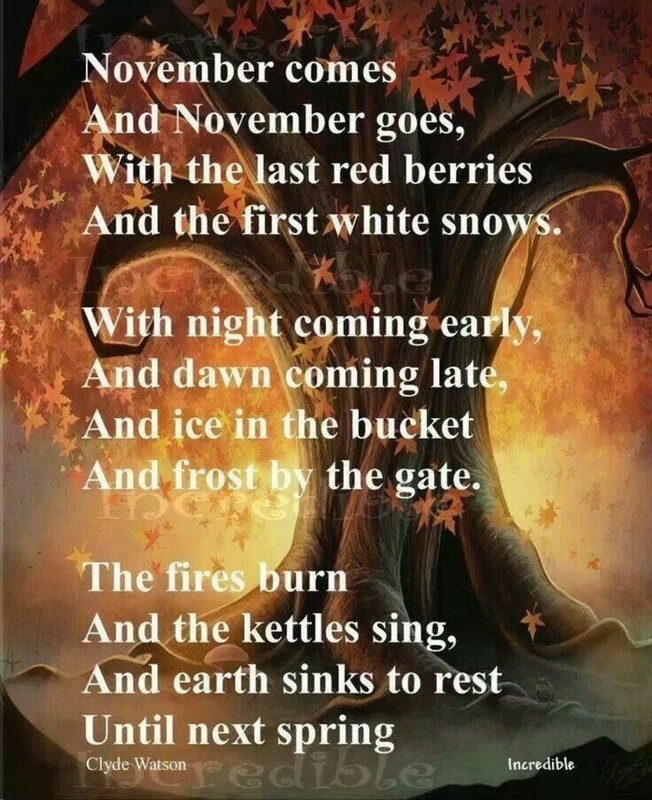 Do any of you have a poem or a rhym you have written about November, Thanksgiving, Fall, or Autumn? Please share yours in the comments. Not falling but gliding to the ground they drift. The rush of the air makes the movement more swift. When they stop, they pile atop.